In just 18 months Resurrection Church has become a fixture in the life of our community. The Church has developed a full-blown program of spiritual and social activities, has Sunday attendance of over 200 and has gone from one to two services. If you were to survey attendees about what they find appealing about the church, you would get a variety of answers. However, many would say they are attracted to the opportunity to become involved and participate in the activities of a church with such an open and welcoming atmosphere. Nowhere is that participation more evident than in those who assist with the Sunday services. In addition to the part-time pastors who take turns assuming the pulpit and a new full-time Associate Pastor of Outreach who has just come on board, there is the choir, which has now grown to some two dozen plus strong. In addition there are the communion assistants, ushers, greeters, prayer and Bible readers and those who care for the altar who number in total some 80 people. 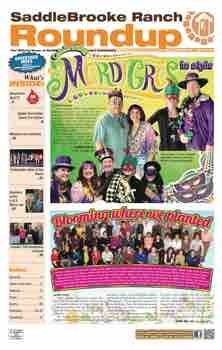 No less critical, according to volunteer Coordinator Karen Hustad, are those who work “behind the scenes.” These folks do such things as publicity, advise on the worship service and participate in the “nitty gritty” work of various committees. Typical of those are Steve and Marty Harsch. Along with Win Babson, Steve handles the church signs in our community. Each weekend Win does three signs in the HOA One area and Steve does the one at the corner of Edwin Road and Clubhouse Drive. Marty is a member of the Church OWLS (Old Wise Ladies), which has assumed umbrella responsibility for the women’s and the social activities of the church. Marty helped plan the December OWLS project “Cheer, Cheese and Chatter,” which provided much needed support for IMPACT; and she and Steve were both on the committee for the February church potluck, another OWLS group undertaking. 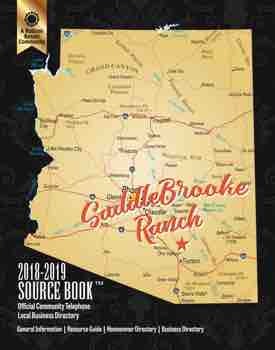 Steve and Marty moved from the Chicago area to SaddleBrooke nine years ago. Prior to retirement Marty was a teacher and Steve a mortgage broker. They started to attend Resurrection Church early on and were attracted to its all-inclusiveness and all-denominational nature. They were in one of the first groups to join and have never regretted their decision. 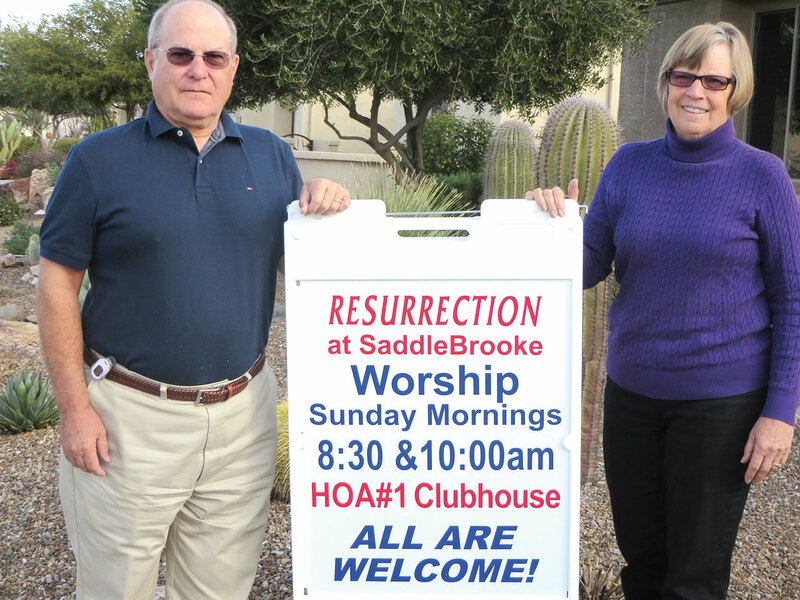 Resurrection Church at SaddleBrooke holds its traditional all-denominational Sunday worship services at 8:30 and 10:00 a.m. in the Vermilion Room at the HOA One Clubhouse. All are welcome.